All Blacks second-rower Anthony Boric will play for the Blues development team against the Crusader Knights on Saturday, having come through his first match in nearly a year after undergoing surgery for a neck injury. Boric, who has played 62 matches for the Blues and 24 Tests for New Zealand, played an internal practice match this week but Blues coach Sir John Kirwan said he needed to play a couple more games before he stepped back to Super Rugby level. Blues development coach Bevan Cadwallader said on theblues.co.nz that Boric was "progressing well, and he is working hard to get a starting spot in the Blues". "He will bring a massive amount of ability and experience to the game, but it is more about him just getting into some work," Cadwallader said. Boric, one of 13 Blues players named in the development team to face the Crusader Knights, considered retirement in May 2012 before deciding to undergo the surgery. He sustained a bulging disc in his neck in the Blues' win over the Bulls in round three of the 2012 Super Rugby competition. 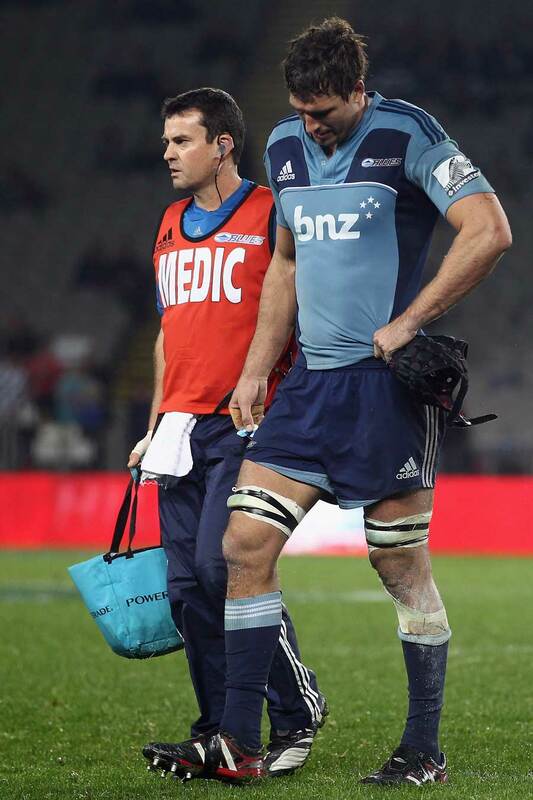 "In my position, running in and cleaning out rucks, you're never going to get in the perfect position every time and quite often you do lead with your head and it puts your neck in a vulnerable position," Boric said at the time he was undecided about the surgery. "So that goes through my mind, I guess if I had the surgery I'd try to slowly build up my confidence. But would it ever come back? Who knows?"